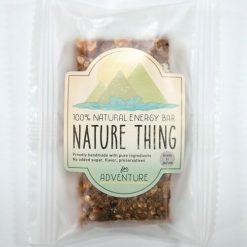 NATURE THING for ADVENTURE is an energy bar inspired by the outdoors and made for serious athletes and those who with active lifestyles. 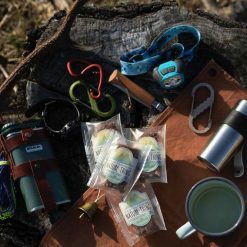 Based on my background as a trail runner, I created this product to meet the high stress demands, such extreme sports put on your body. 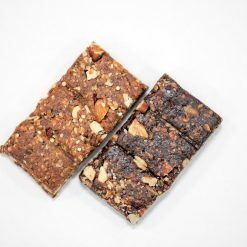 This energy bar is designed give you maximum nutrition without any artificial materials or additives. Every single ingredient used in NATURE THING is 100% natural and will help you stay healthy, both physically and mentally. The date and raisin base give this bar a unique, chewy quality. Nuts, other dried fruit, seeds and rolled oats are are blended to provide a crunchy texture. 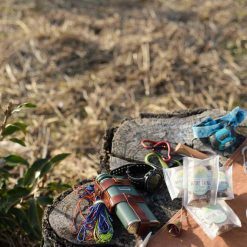 NATURE THING for ADVENTURE is a perfect friend for you before and after you workout, jog or do any other activity because it provides long lasting energy to fuel your body through strenuous activity. 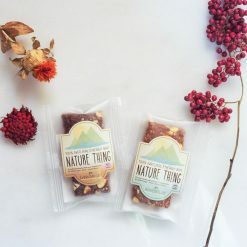 Not only is NATURE THING made with real food, but it also tastes great so it’ll be ‘love at first bite’. 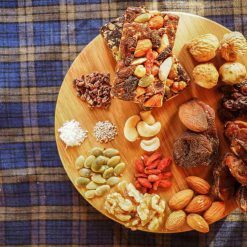 This product contains dates, raisins, rolled oats, coconut oil, soy protein powder, almonds, cashews, apricots, pumpkin seeds, goji berries, quinoa, cinnamon.